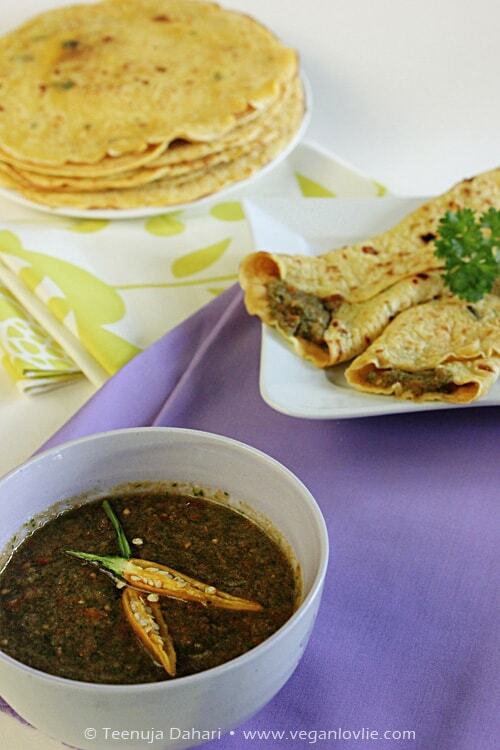 Coriander chutney is a popular raw condiment in Mauritius, usually eaten as part of a main meal or with snacks to enhance flavour. It is a nice sauce to go with many savoury cakes and in this case savoury crêpes. I like to use leftover chutney as a salad dressing too. 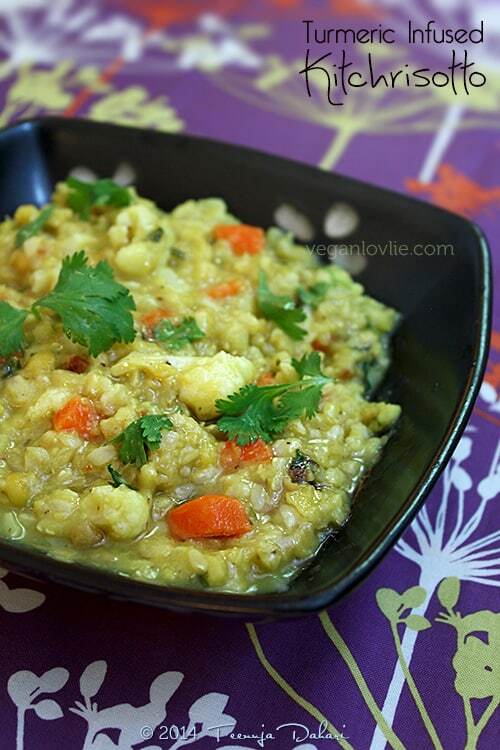 The recipe is very quick and easy to make; it is also raw and a great way to eat raw coriander. 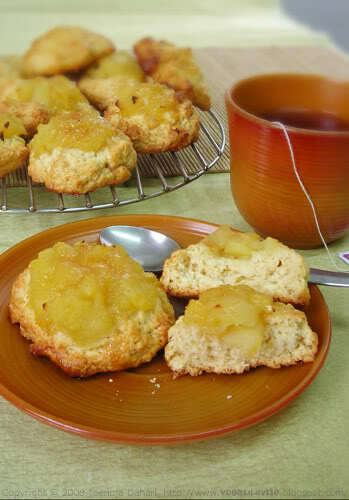 Originally it is made with onions and garlic but since I don’t eat those, I have substituted with ginger. Feel free to add these in if you like, 1/2 small onion and 1 garlic clove should be enough. 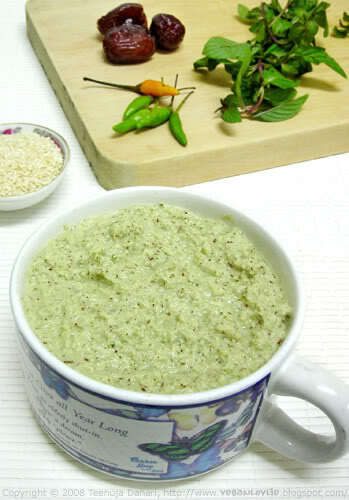 Place all ingredients in a blender (or use a hand blend) and blend until a puree consistency is obtained. Mix flours with baking powder, curcuma and salt. Add water, stirring with a hand whisk to avoid lumps. Add oat milk and scallions. 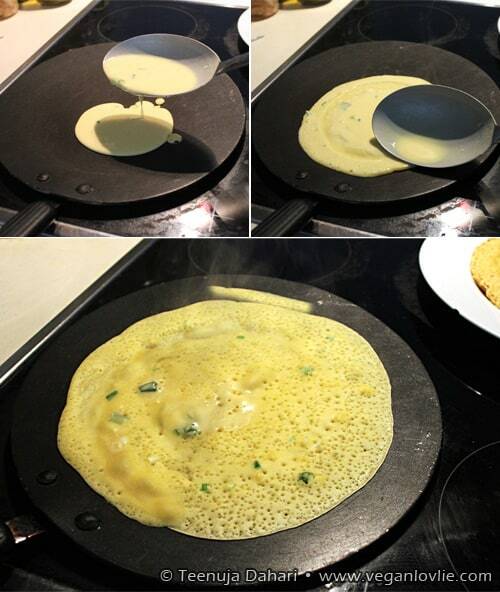 The crêpe batter should be smooth. Heat a crêpe pan on medium heat. Laddle the batter and spread around into a nice circle shape. Cook for about a minute until the bottom side is no longer sticky. Then flip over onto the other side and cook for another minute or two. You can flip again if required. Remove and stack on a plate. Stacking them will keep them softer and warm. 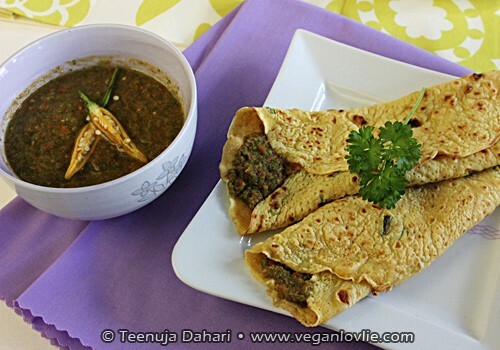 Spread with coriander chutney, roll and serve while still warm. This makes a delicious brunch or snack anytime. Wow, what an amazing recipe! 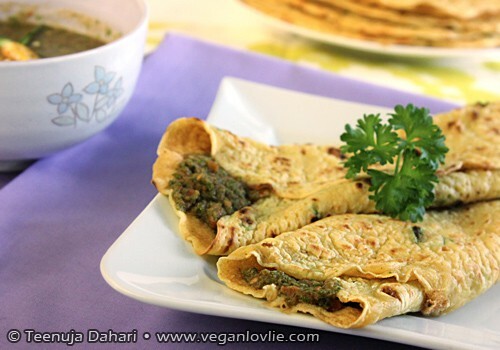 I really love coriander and filling crêpes with this chutney sounds really, really wonderful! I am saving the recipe and serving it next time we have guests. Hi! so this is a crepe recipe, not rotti right? I would love it if you could share your rotti recipe on your blog! I was never able to re-create a true mauritian rotti here in Canada. Love your blog!